You have a full and busy life. It’s a blessed life with a spouse that loves you and a family that needs you. You have a career or a (more demanding) role as a stay-at-home parent, a mortgage, chores to do, groceries to buy, community or church service, kids activities, family obligations, hobbies and maybe even a little time for recreation. At the end of each day, you’re pretty much beat, but you try to muster the energy to be intimate with your husband or wife on a regular basis. You wish it was a little easier to be in the mood and enthusiastic about enjoying a physical connection with your spouse. You wake up the next day and scramble to get started with the daily demands of modern life. Time is scarce and sacred. You Are Not Alone In Your Constraints. You know all the benefits of exercise. Heck, you’ve known them since elementary school. It used to be so much easier to stay in shape. There was more time for exercise, and your efforts were rewarded with faster results. You try to get back on track from time-to-time and do great for a few weeks. A few pounds come off and, more importantly, you notice a boost in energy. There’s even a little extra stamina left for bedtime. But then your child gets sick. You have to go out of town for work. You get a nagging injury. The routine gets broken for a few days, then a week and then it’s gone. Your schedule seems to expand again to take away the time you had been occupying with exercise. It’s back to eating things that you know aren’t going to make you feel healthy, but they’re convenient and there’s no time for preparing anything better. For the 38th time in your adult life, you are officially not a fitness enthusiast. You’re average, but you don’t really like it. Do you think that I have some special insight into your life? This is my story as well. And my wife’s. We spent the better part of our marriage putting the needs of others first. This includes each other, and it especially includes our children. It seems like the right thing to do. Others depend on us, and we love them. But feeling mediocre about our own bodies, draining ourselves of energy and settling for an average American lifestyle is no service to our marriage. It doesn’t feed our intimacy or serve God as an example of healthy Christian marriage. It’s certainly no example to set for our children. You Are Not Alone In Your Misplaced Priorities. To change your path requires a choice. It’s difficult to break away from the status quo. It’s easier to watch television than workout for 30 minutes. It’s easier to drive through McDonald’s than plan ahead for a nutritious dinner. For the sake of our health, our marriage and our children, we made the choice to be better. We still slip up. We still have constraints. We still struggle. We still misplace our priorities. But we now have a Fit Marriage. You are part of the Fit Marriage community. You have the support, guidance and encouragement of Tony, Nick and I along your journey. You have hundreds of other couples who are making a similar choice, encountering similar resistance and making it happen. It’s time to change your life. 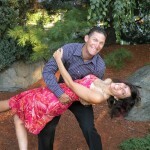 It’s time to rock your marriage. It’s time to leave a healthy legacy for your kids. 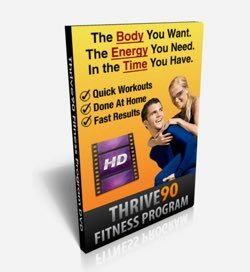 If you’re ready to take action with a full fitness system designed by us and for us, I encourage you to invest in Thrive90 Fitness and commit to doing it with your spouse, with a friend or with another couple. 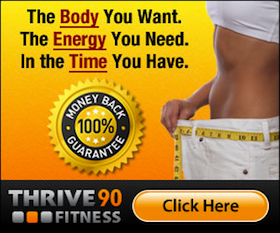 Thrive90 will guide you towards the body you want, the energy you need, the intimacy you deserve, all in focused, easy-to-follow workouts for 15-30 minutes per day. If this post spoke to you, please know that Fit Marriage was created specifically for you. We are ecstatic that you’re here, and we encourage you to let us know if there is anything that we can do to better serve your fitness needs. Great thoughts about what many of us know we need to do. 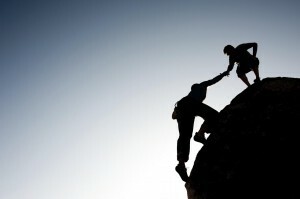 Empowering others to be the best we can is the goal of Thee Quest For Perfect Health. Their are many of us out here willing to help and bond with others to reach all those goals we were raised with. Thanks for your support and kind words, Pierre. We love what you stand for!